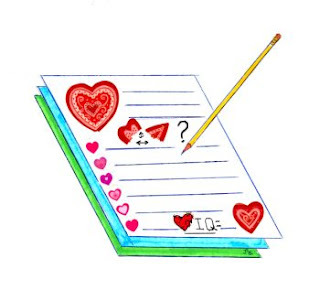 To take this test, first read the brief statement of what love can be given for each letter of the alphabet. Then read the sentence below the statement and choose the answer (and record the number) which comes closest to your own.. If you do not know or cannot be sure enough, record a zero for your answer. However, it is best to make the ‘best guess’ you can, coming as close as possible to what you think your answer might be so you do not have too many zero scores. Choose only one answer for each stimulus sentence. I show love affectionately 1. Badly 2. Poorly 3. Fairly well 4. Very well. I show I care to those I love 1. Ineptly 2. Tolerably well 3. Quite well 4. Very well. I obviously delight in those I love 1. Rarely 2. Seldom 3. Often 4. Quite frequently. I show loving kindness 1. Rarely 2. Seldom 3. Often 4. Quite frequently. The number corresponding to your response on each question is your Score for each sentence. If you chose a number ‘1.’ response your score is one. If your answer was a ‘2.’ response your score is 2 on that item, and so forth. Add up all your ‘1.’ responses, ‘2.’ responses, ‘3.’ responses and ‘4.’ responses; then add them all together for your TOTAL Score. Do not add your zero (don’t know & not sure) responses. Now, use the following scale to interpret your score. 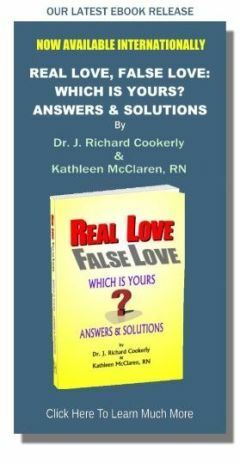 Scores zero – 26 suggest you may not know enough about yourself and healthy, real love, how it’s done and how to evaluate yourself in relationship to healthy, real love. A lack of love knowledge may lead to love failure. Considerable study of love, therefore, is recommended, perhaps coupled with developing your introspection skills. Scores 27 – 52 suggest you may not have given love and how to do it well and successfully anywhere near enough attention and, therefore, love failures may be all too likely in your life. Lots of study of the behaviors that convey love (See “An Behavioral (Operational) Definition of Love”) and those that help love grow and develop, followed by practicing what you learn is recommended for your consideration. Scores 53 – 78 suggest you are doing the actions that lead, at least, to a fairly successful chance at succeeding at love, and that it will be wise for you to study and learn more of the skills, techniques and ways of healthy, real love. Scores 79 – 104 suggest you have a well above average understanding of how to grow and develop a healthy love relationship or that you are giving yourself too much credit and may be in denial about how much you need to learn. It is useful to go back and study your lowest scores on each of the above sentences, thinking of them as possible areas you might do well to make improvements in. Studying your highest scores may tell you something about your strengths concerning healthy, real love. Developing your strengths even further as you also strengthen the weakest areas is considered a rather good strategy. The Alphabet Love Test also may provide a good exercise for a couple to do together, and it also can be used by families and friends. The Alphabet Love Test is just one of many ways to get a bit clearer and more well-informed about yourself and your healthy, real love strengths and weaknesses. It is not to be considered a definitive instrument as it only has what is called face validity. It, however, may provide a rather good stimulus for thinking about love and factors that have to do with love in their many, rich and varied forms. Do you consider yourself to be a student of love, or do you mostly let love and your love relationships be a matter of luck and whatever you learned growing up? Which is your guess as to which of these approaches gets the better results and which does not?